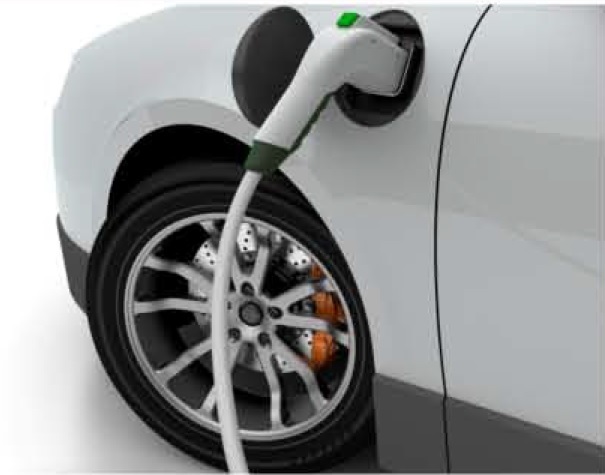 Magnetic energy can be generated by different techniques, and we are focusing on the energy employing permanent magnets. A simple design for a motor or generator is shown in the top right figure. If an electric current, such as from a battery, is applied to the armature in the magnetic field created by the permanent magnets, mechanical energy in the form of a rotating torque is created. This is a motor. 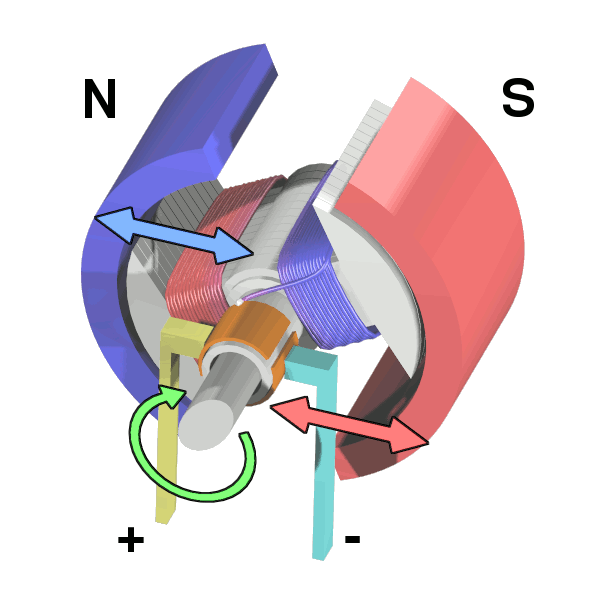 Alternatively, if a rotating torque, such as from a windmill, is applied to the armature, energy in the form of an electric current is created. We call both forms Magnet Energy. A permanent magnet may have many shapes as shown on the photo to the right. Today magnets are essential components in many modern technologies employed in electric and electronic devices such as computers, appliances, medical equipment, and microwave transmission. 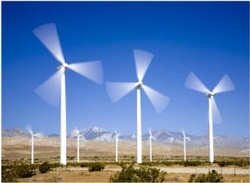 In recent years applications in renewable energy have emerged, including large-scale applications in hybrid electrical vehicles and wind turbines. Depending on the type, shape, and size of the permanent magnet, and the magnetic circuit design, magnet energy of various types and strengths can be obtained. The figure below shows how a magnet is graded for its energy product (BH)max, which is the measure of the strength of the magnet. This example of an NdFeB magnet has a maximum energy product (BH)max = 41.4 MGOe, and if the magnetic circuit is designed using an optimized load-line, all its energy will be obtained. On the Magnetics basics page of this website, we have some details for how to determine the load-line of a magnet. How to select a magnetic material, how to decide on its size and shape, and how to design the magnetic circuit all play important roles to determine if one can use the potential magnet energy effectively. 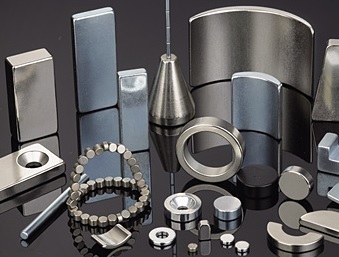 Also how to find reliable sources for your applications and how well the interaction between the magnet suppliers and magnet designers and users will determine if one can have successful business position. We have developed the expertise in this complex field over the last three decades, and we are here to serve and help your business succeed. This figure shows how a magnet is graded for its energy product (BH)max. corresponding to a demagnetizition curve on the left for an NdFeB magnet at room temperature.